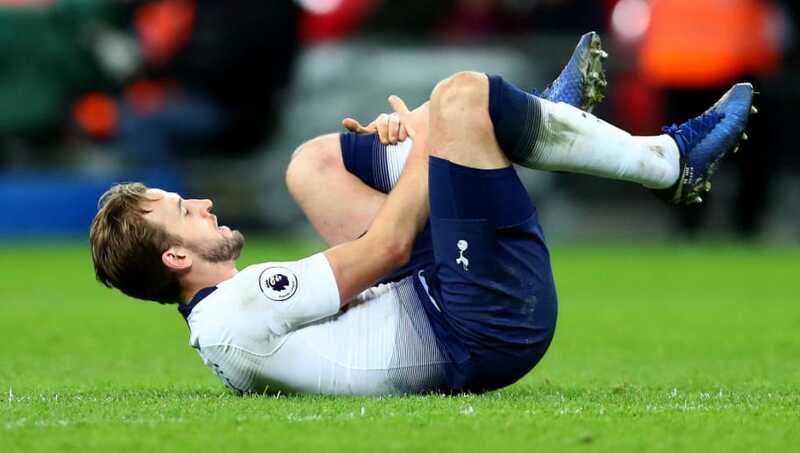 Tottenham striker Harry Kane has been ruled out of action until early March after the club confirmed the striker had damaged ligaments in his left ankle during the 1-0 loss to Manchester United on Sunday. The England captain limped off the Wembley turf following the defeat and the news comes as a major blow to Mauricio Pochettino, who is already dealing with a squad depleted by other injuries. A statement on the club's ​website reads: ​"Following preliminary assessments, we can confirm that Harry Kane has damaged ligaments in his left ankle, sustained during Sunday's match against Manchester United. Tottenham are currently without Victor Wanyama, while Mousa Dembele is expected to leave for China at some point during the January transfer window. The news leaves Pochettino with a conundrum in the attacking third, with Fernando Llorente yet to convince during his performances for the north London side. ​Kane is Tottenham's top scorer so far this season with 20 goals, with Son Heung-min, their next most prolific player, now away on international duty with South Korea for the Asian Cup. ​Spurs will be without their talismanic forward for the second leg of their Carabao Cup semi final at ​Chelsea, while he will also likely miss the north London derby in early March. Pochettino's side are currently third in the ​Premier League, one point ahead of Chelsea and seven in front of Arsenal and Manchester United, who both sit on 41 points.